90s band Dodgy have reformed and are releasing a new album. Stand Upright In A Cool Place will be the first release that includes the original line up of Nigel Clark, Mathew Priest and Andy Miller for over 15 years. The band, who are best known for their hits Staying Out for the Summer, If You’re Thinking of Me, and Good Enough rose to prominence during the Britpop era. The new material has a more developed and mature sound, reminiscent of Crosby, Stills, Nash & Young. As with all Dodgy songs, they would make a superb accompaniment to a warm summer festival field. The excellent lead single What Became Of You is out on February 13th. The album, Stand Upright In A Cool Place, follows on February 20th and is available to order from http://strikebackrecords.sandbag.uk.com. Islands are back with a new album. Islands originally rose out of the ashes of Nicholas Thorburn’s previous music venture, The Unicorns. Which was at the time, also very successful and well received. For me, the previous two albums that Islands produced didn’t quite cut it like their first and most acclaimed album, Return to the Sea. It’s been a while since i’ve given the album a good listen again. I usually just whack Swans and Volcanoes on my playlist and leave out the others which are each quite unique – Pitchfork described it as being a “a sprawling, gorgeous collection of pop songs that draws from disparate sources such as calypso, country, and hip-hop”. Islands have very recently announced that they’ll be releasing a new album called, A Sleep & A Forgetting, and to get the buzz going they’ve released a single from the album called, This is Not a Song. One of the main reasons I’m writing this post is because i really like this song, and i’ve got a feeling this album’s gonna be a good’n! It’s released on Hallmark’s Valenine’s Day. Here’s an oldie and the newie. The Shins are back, preceding the March release of the new album Port of Morrow (which happens to have some excellent artwork), with the brilliant new track Simple Song. It really is a superb one too with all you expect from The Shins, and if anything, it’s a little more upbeat than past songs with an electric almost reinvigorated vibe. It’s made the prospect of the full length in March far more exciting! Head over to The Shins website here to listen to Simple Song complete with a pretty awesome player. Album pre-orders with various bonuses are available now and come with early access to the track in question. Roll on March! I’ve had a bit of a Britpop renascence this weekend. It started by seeing Shed Seven play a blinding nostalgia fuelled gig at the O2 Shepherd’s Bush Empire on Saturday, supported by the excellent Chris Helme (ex frontman of the Seahorses). If that wasn’t enough mid nineties reminiscence, Britpop stalwarts Cast have released their first single in over a decade. Fresh off the back of the 15th anniversary gigs celebrating their debut album “All Change”, they have recorded a new LP “Troubled Times” via PledgeMusic. 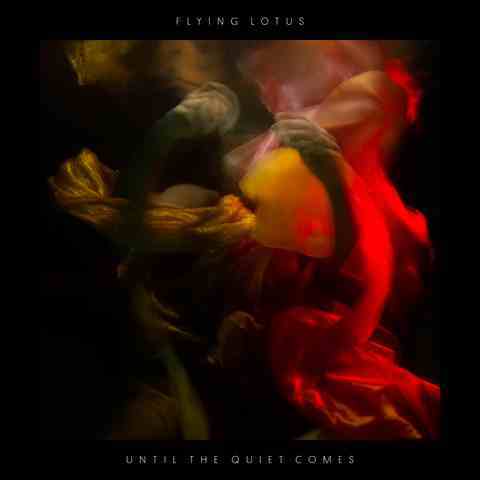 The album will have a physical release in the new year whilst the digital version was available to plegers in November. 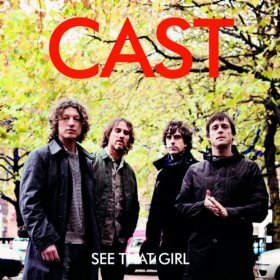 The single “See That Girl” has the familiar tone of the bands previous work and jangly guitar sound of vocalist, John Power’s former band, The La’s. Whilst not breaking any new grounds, anyone who is nostalgic for 60s pop or the Britpop sound will enjoy this. The single is available digitally from iTunes & Amazon and has a live version of John Lennon’s “Working Class Hero” as a b-side.